Ancilla College first approached MKS in December 2014 to begin the planning process to add a new residence hall to its campus. At the time, Ancilla was a commuter-only college; building a residence hall was deemed vital for continued growth, and cementing the college's future. It wasn’t until MKS invited Ancilla College to tour Indiana Tech in January 2015, that Ancilla officials decided MKS was the right partner for them. 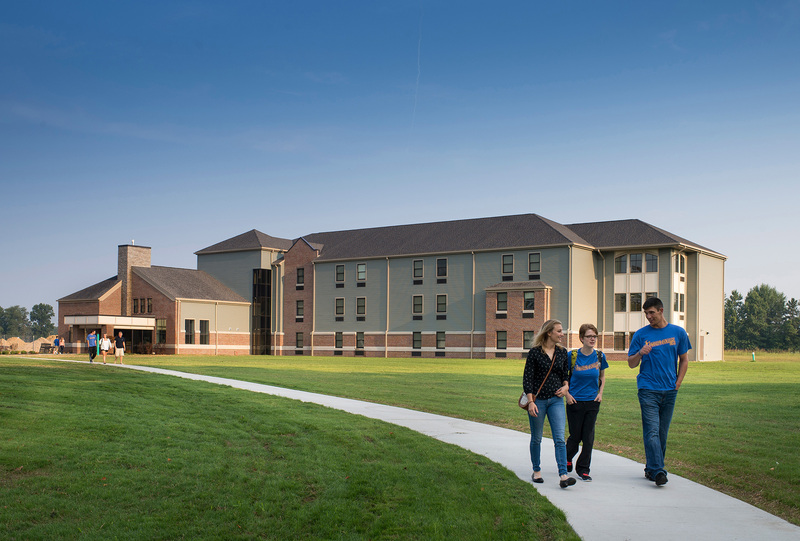 Students were able to move into the brand new 96-bed facility, featuring private bathrooms for each room, a fireplace, and meeting spaces in August 2015. The response from prospective students was so overwhelming the decision was made to house three students per room! MKS and Ancilla continued their successful partnership to build the second residence hall on campus, which opened its doors in July 2016. "MKS was very good at listening to what we wanted. They sat down and worked with our people here and we were able to say various aspects of we wanted to accomplish in a new residence hall...without fail, they met our expectations."